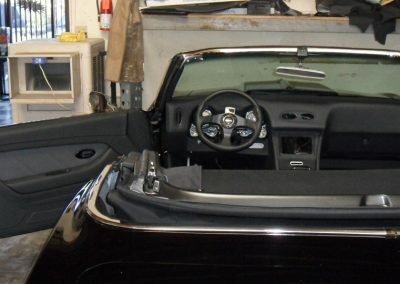 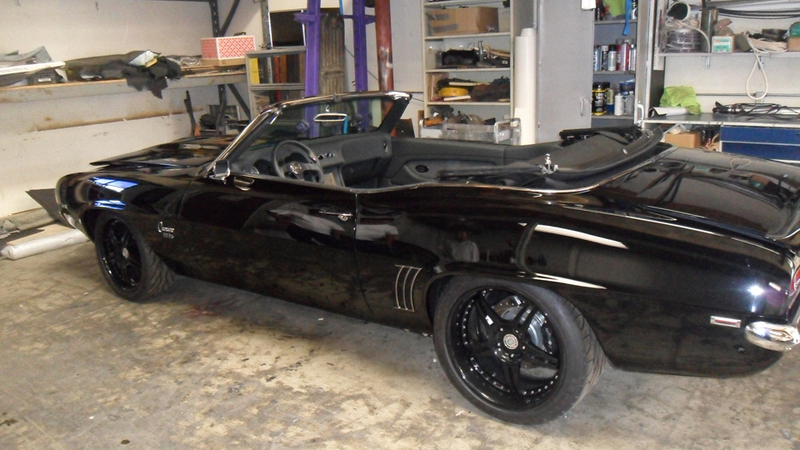 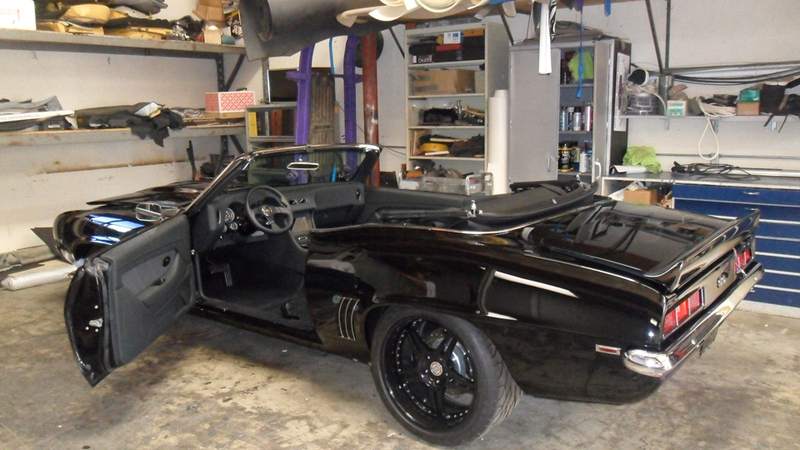 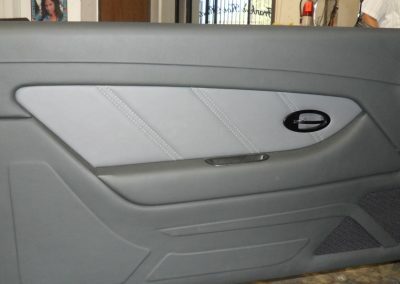 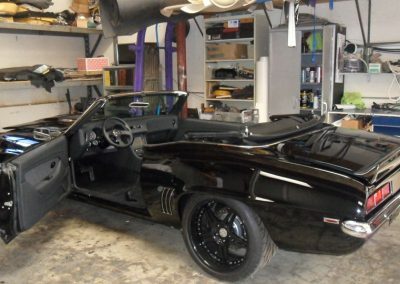 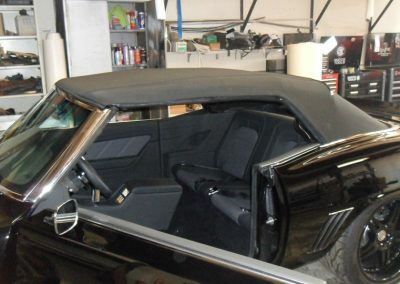 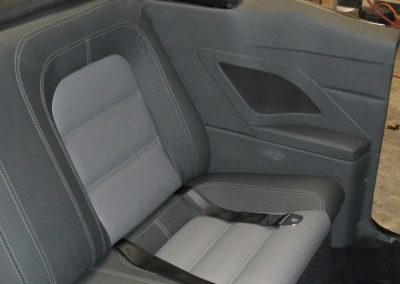 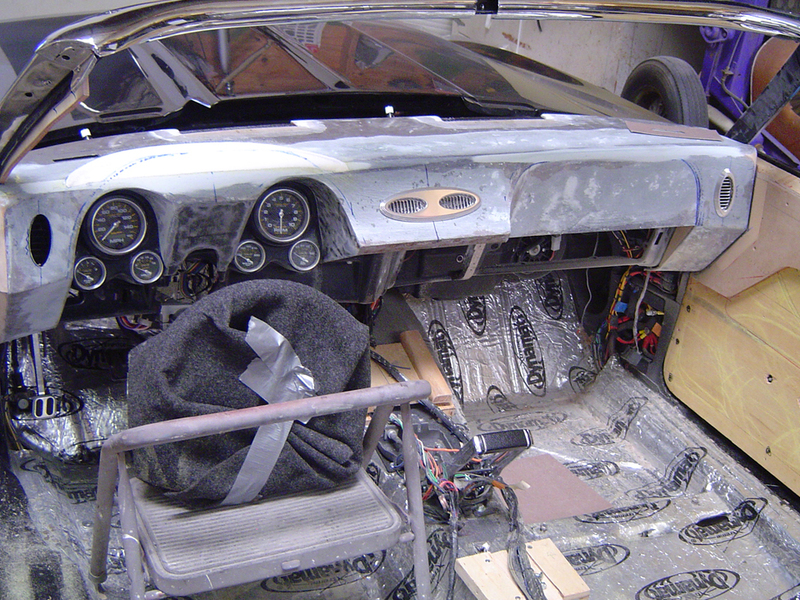 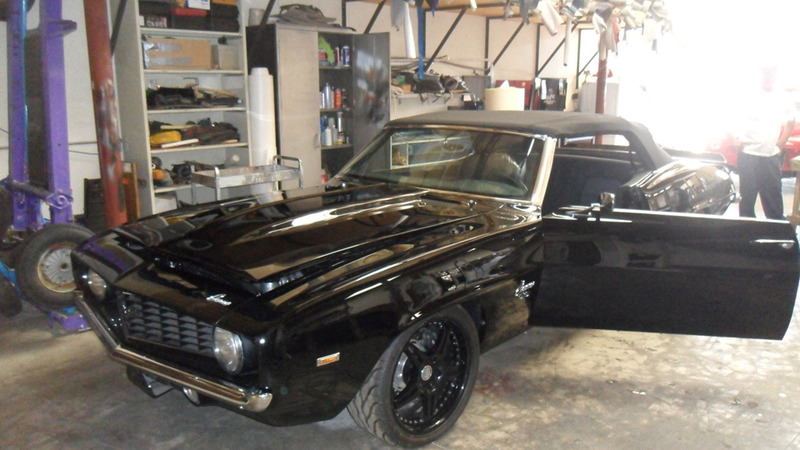 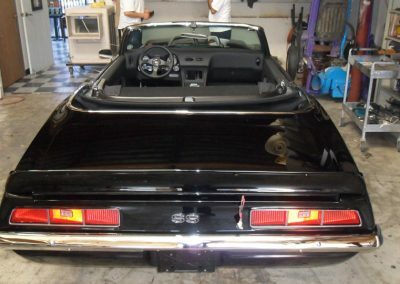 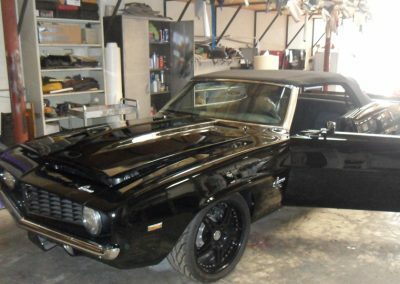 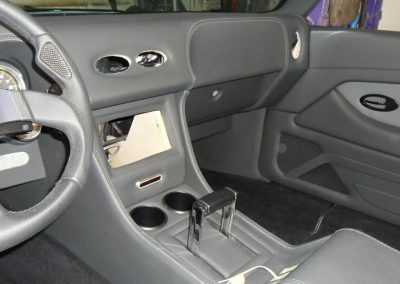 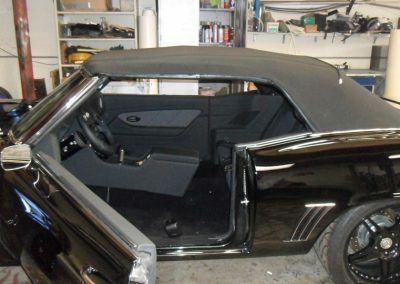 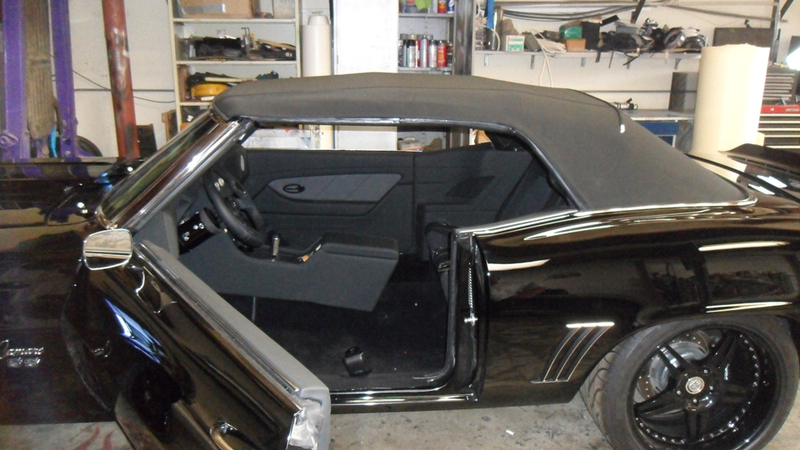 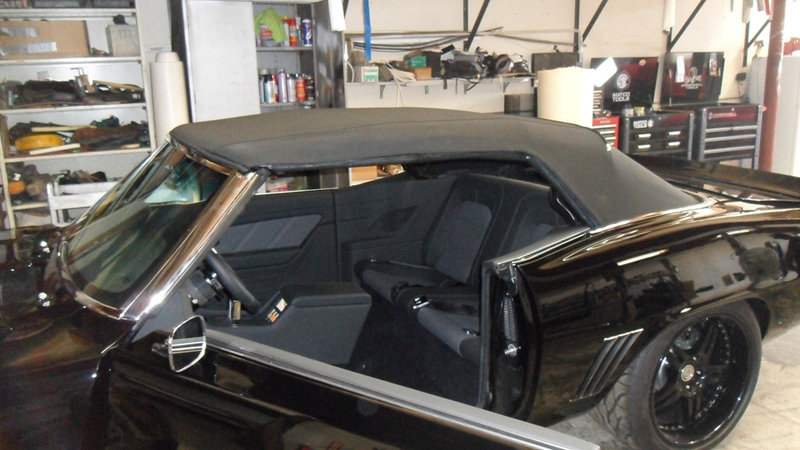 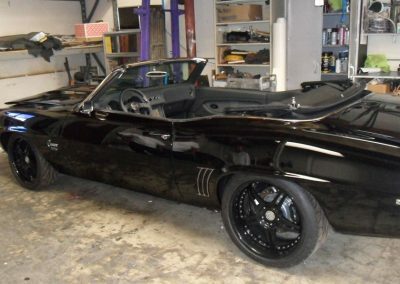 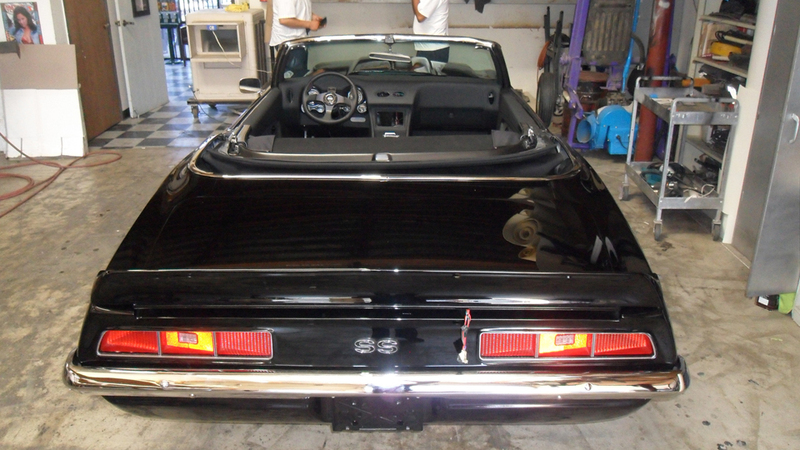 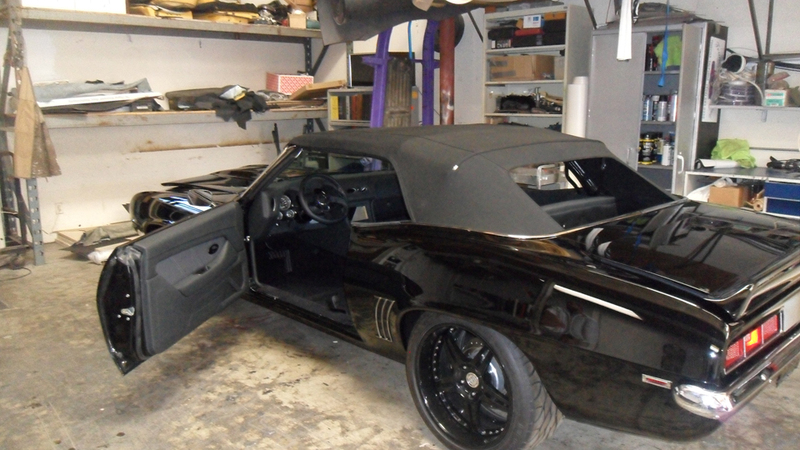 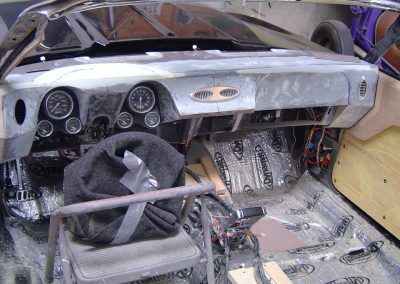 This Chevy Camaro needed a custom leather interior and new convertible top to match the rest of the car and Frank’s Hot Rods Upholstery was up to the task. 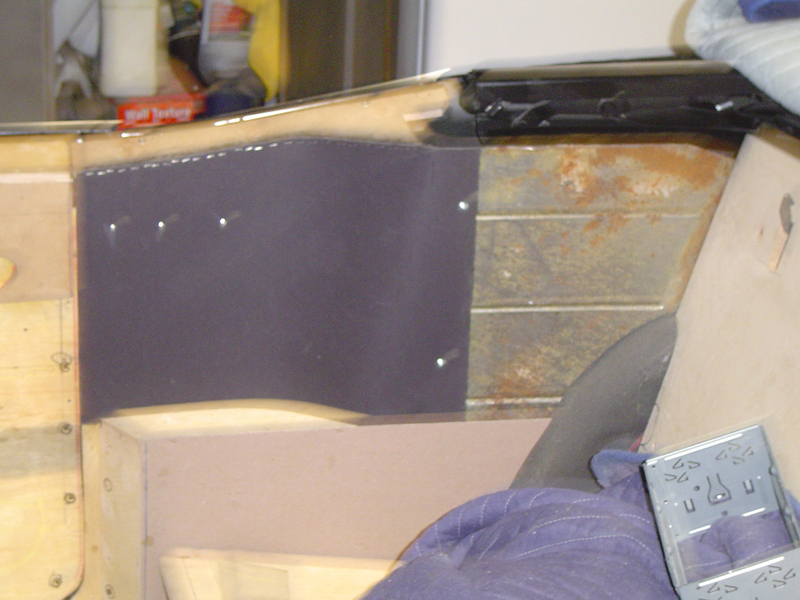 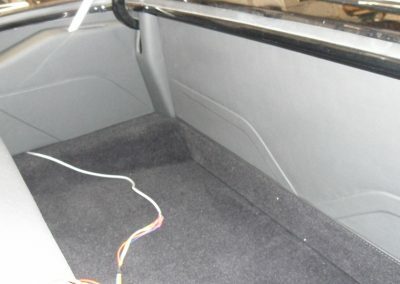 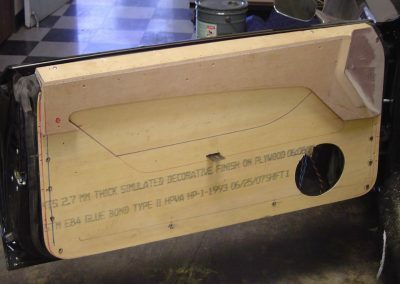 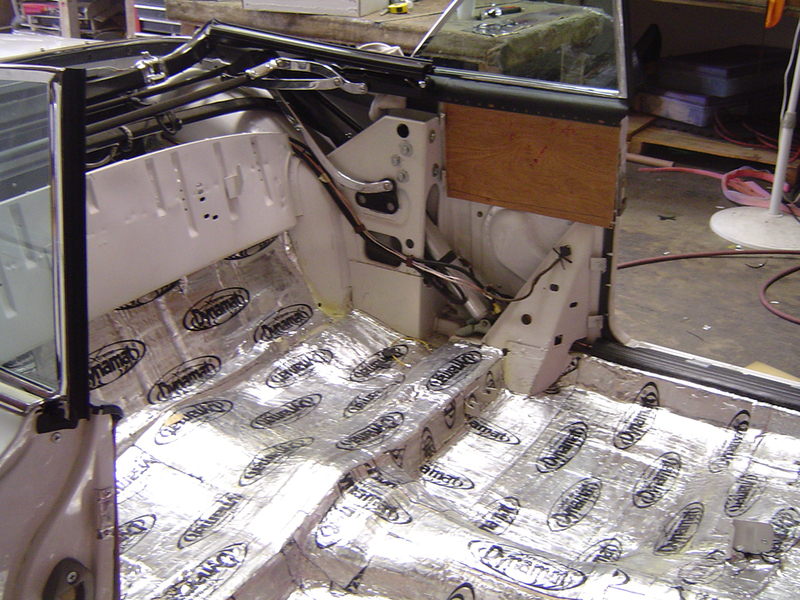 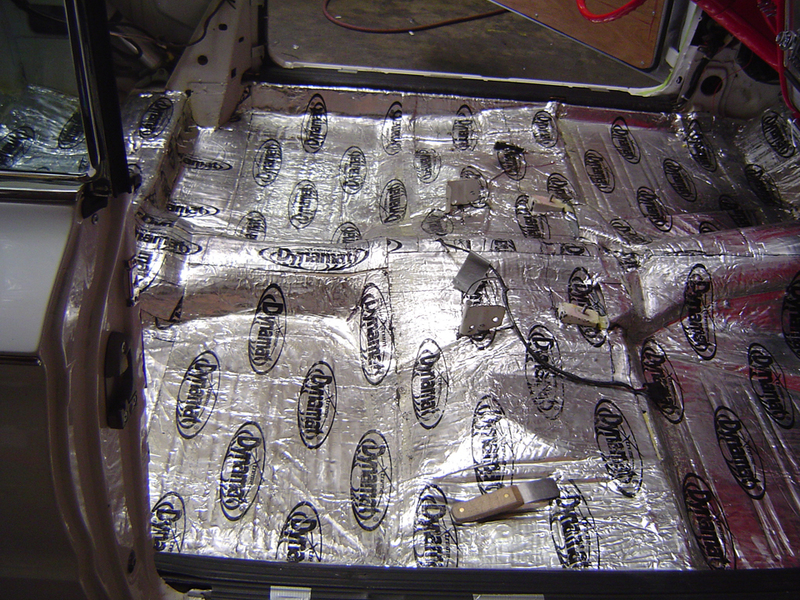 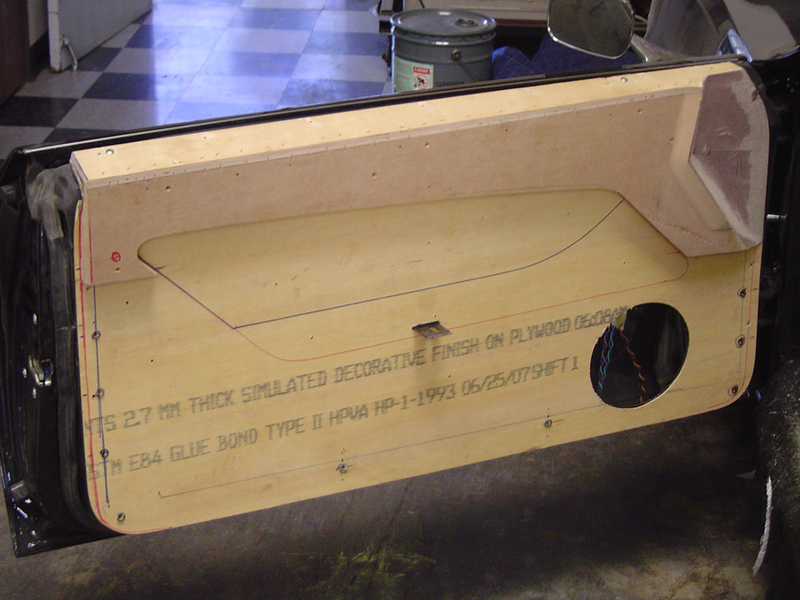 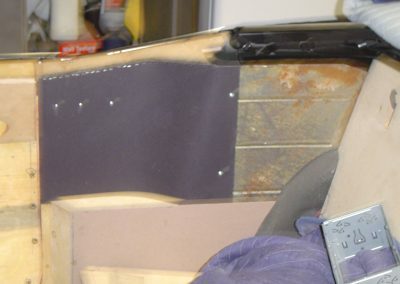 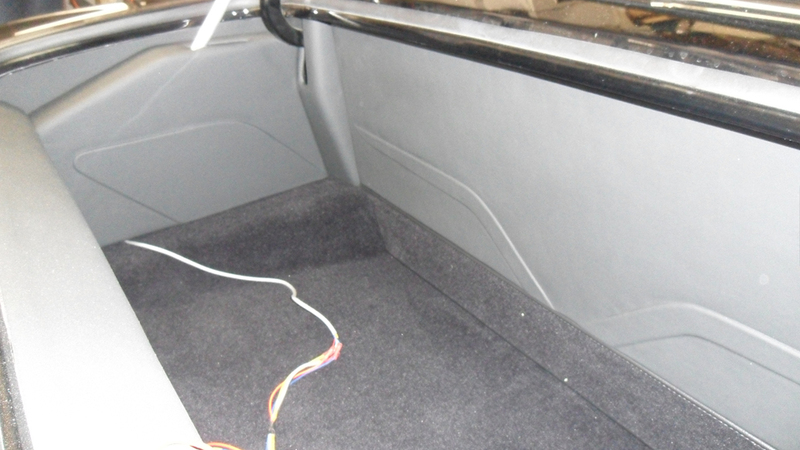 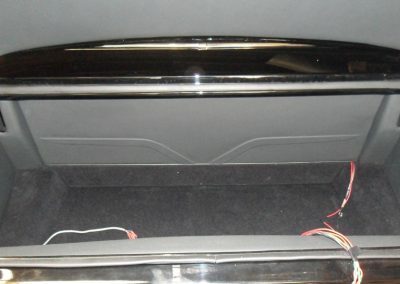 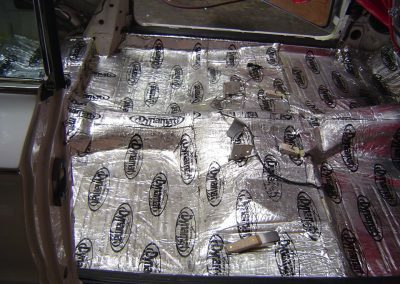 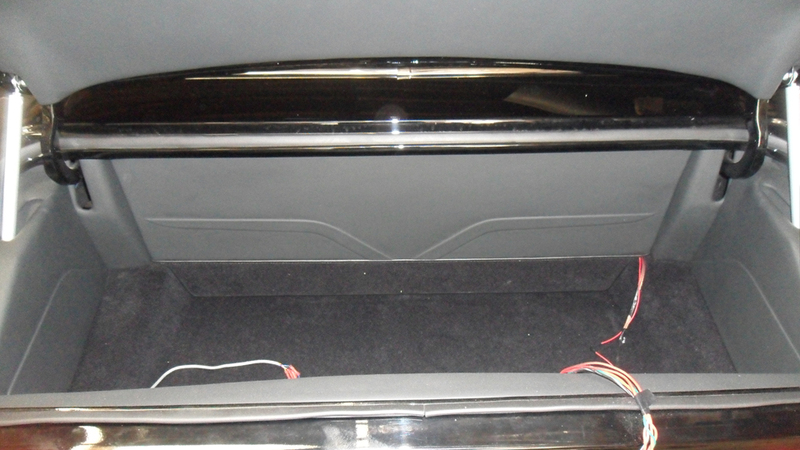 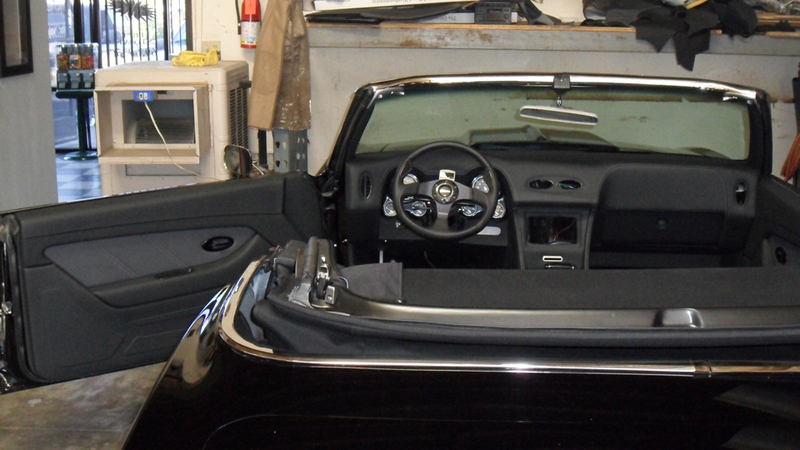 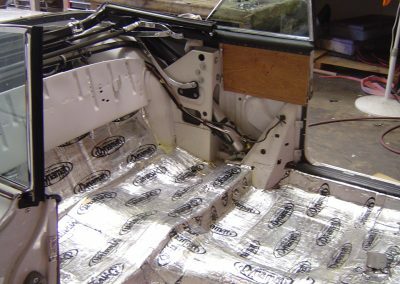 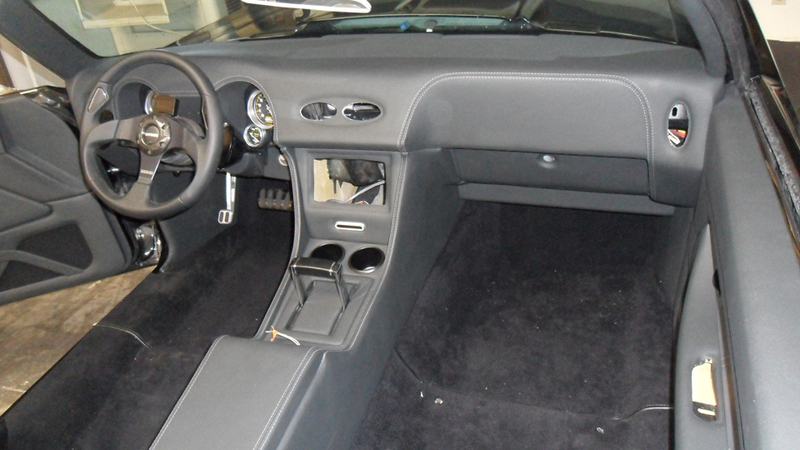 After stripping the car’s interior we covered the floor with Dynamat Sound Suppression panels to lessen the road noise. 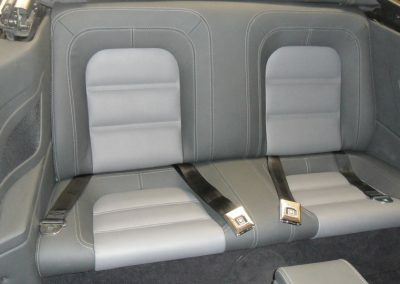 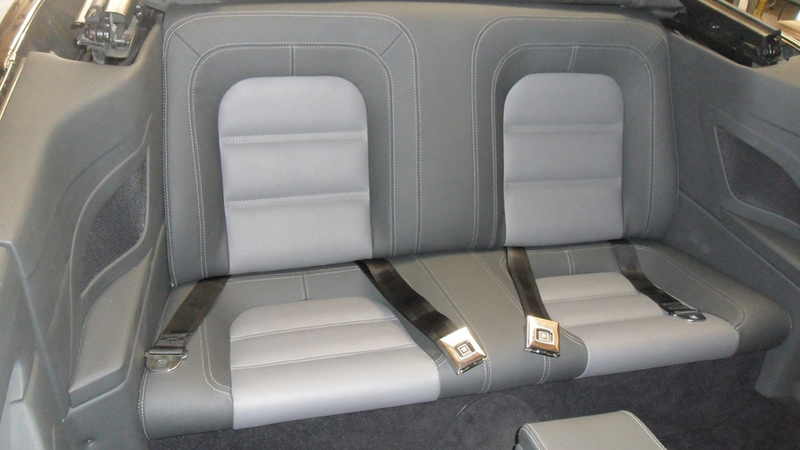 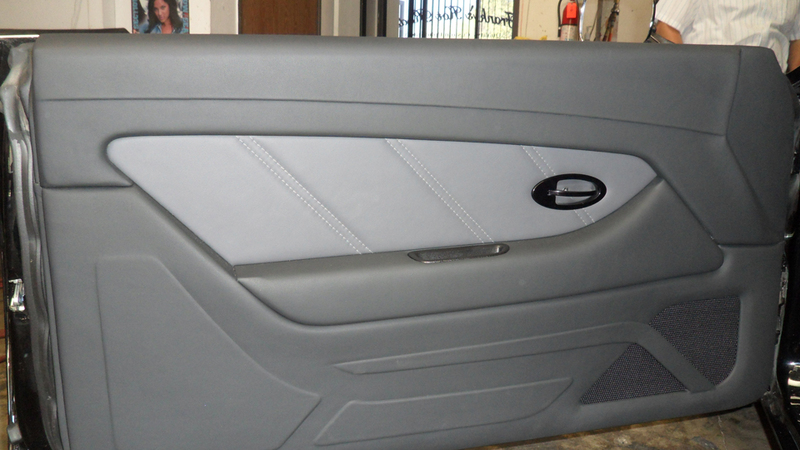 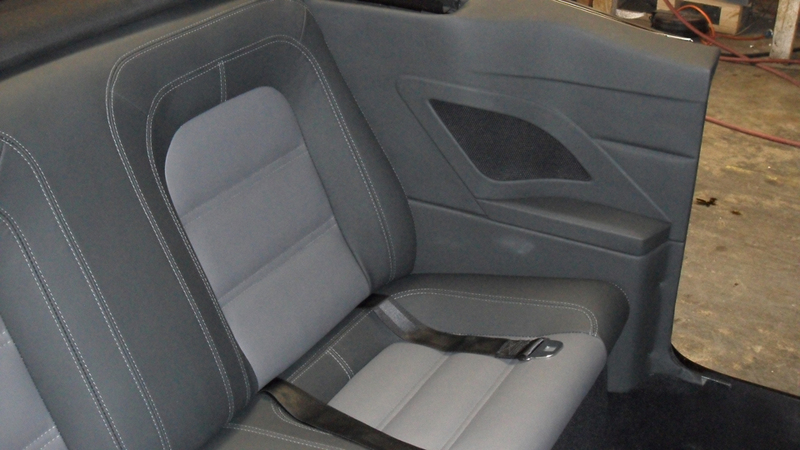 We covered the seats and custom fabricated door panels with black and grey leather. 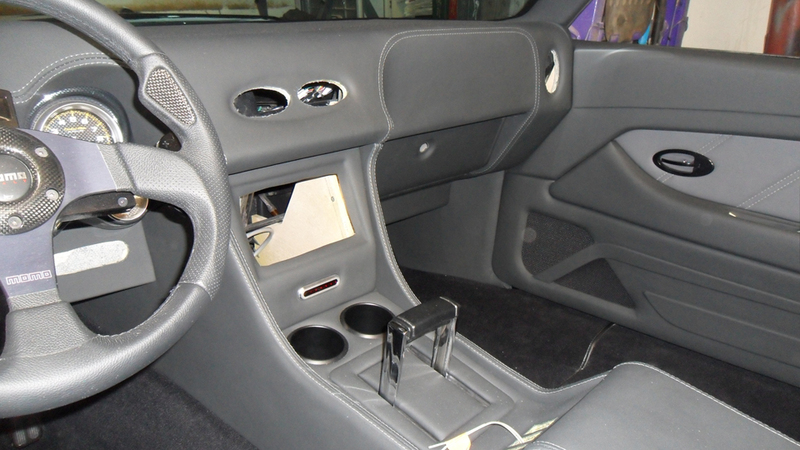 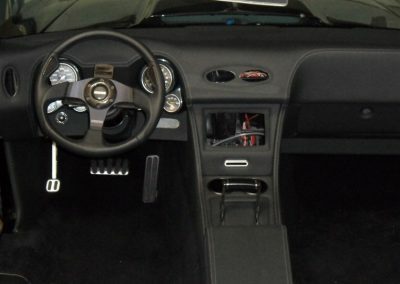 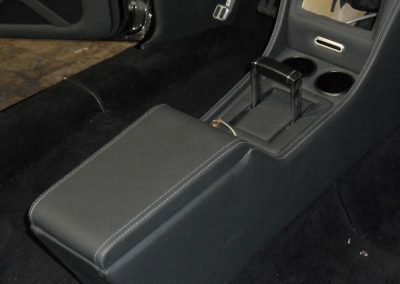 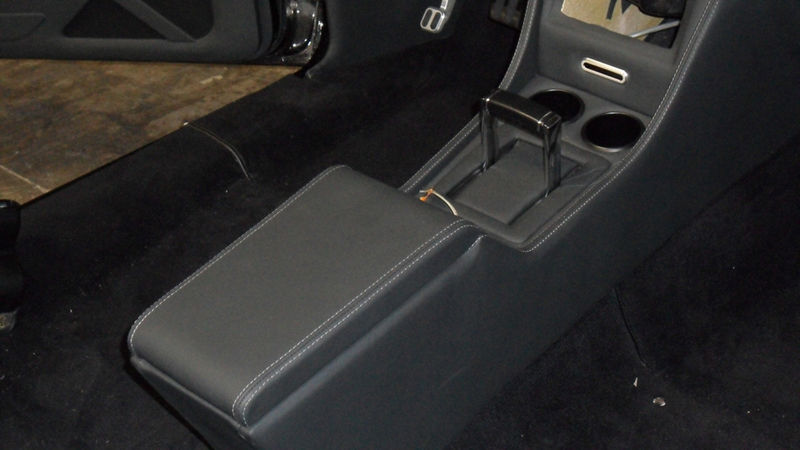 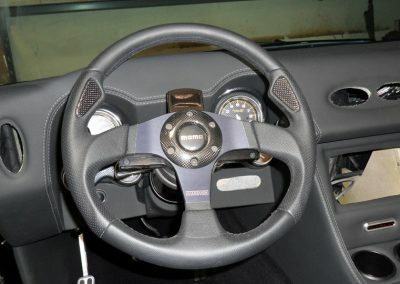 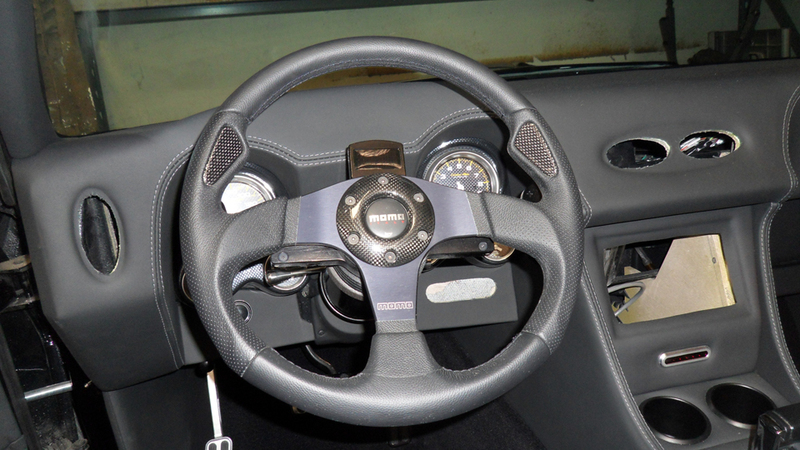 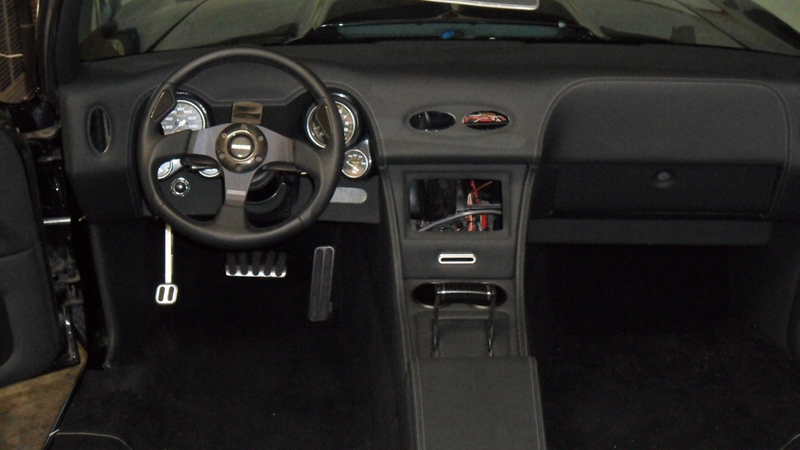 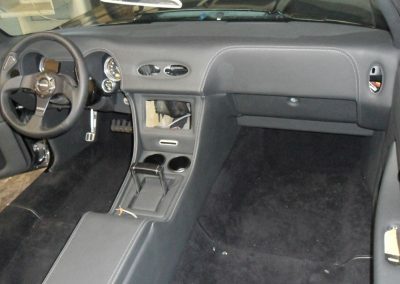 We fabricated the dash and center console wrapping them in matching black and grey leather to finish the look. 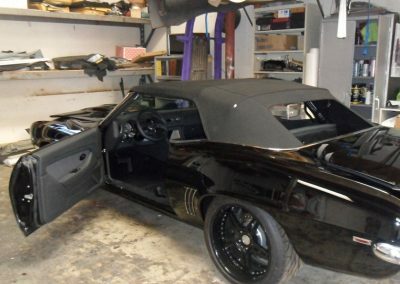 To make sure the new custom Camaro interior or the cars occupants didn’t get wet, we intalled a new black convertible top to match the black paint job.